New Delhi, India (CNN) -- Rescue teams worked into the night at the smoldering scene of an Air India plane crash that killed 158 people Saturday after the jet overshot a runway in southern India, crashed into a ravine and burst into flames, officials said. As darkness descended, workers used portable lights to pull charred bodies out of the wreckage outside Mangalore International Airport. All but eight bodies have been recovered, the civil aviation ministry said. Eight of the 166 people on board Air India Flight IX-812 survived the crash and were taken to hospitals, where most were in good condition, CNN-IBN reported. India's civil aviation minister Praful Patel said an investigation was underway but reasons for the crash would not be known until the flight data and voice data recorders have been recovered. Emergency workers were attempting to cool the fiery wreckage Saturday night to keep the data intact. The Air India jet touched down on an 8,000-foot runway -- 2,000 feet longer than the old runway and more than sufficient for the Boeing 737, Patel said. The runway has been operational since 2006. Some of the survivors recounted their harrowing tales for CNN-IBN. Ummerfarook Mohammed said the cabin quickly filled with smoke after the jet skidded off the runway and hit a boundary wall. The impact created a hole in the plane's body, he said, through which he crawled out and ran for his life. A medical student said she escaped from the plane but that she then free-fell until she was snagged by a tree, where rescuers found her. Patel said weather conditions were good -- calm winds, no rain and good visibility of 6 kilometers -- and both the pilot and co-pilot were experienced and had landed many times before at the Mangalore airport. They did not report any problems before landing the plane, India's civil aviation ministry said. However, the 90-meter spillover sand bed beyond the runway was limited and was not able to stop the aircraft after it overshot the tarmac, Patel said. Only the tail of the aircraft was left intact. Witnesses said the plane crashed through the hilltop airport's boundary wall and fell into a valley, CNN-IBN reported. 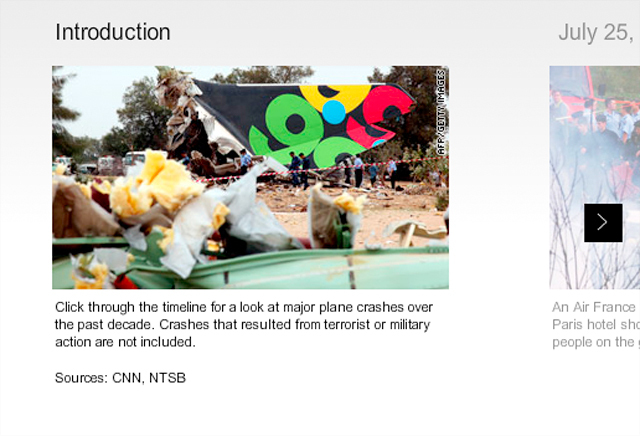 Survivors told CNN's sister network that they jumped out of the plane after it crashed, seconds before it burst into flames. Rescue workers struggled to reach the crash site in a hilly wooded area, the network said. Smoke from the plane also hampered rescue efforts and many of the recovered bodies were badly burned, CNN-IBN reported. Abhay Pathak, a regional manager for Air India based in Dubai, said there were 160 passengers on board the plane and six crew members. Of the passengers, 32 were women, 105 were men, 19 were children and four were infants, he said. The airline has offered relatives of crash victims in the United Arab Emirates free passage to India, Pathak said, and about 20 people have accepted the offer. 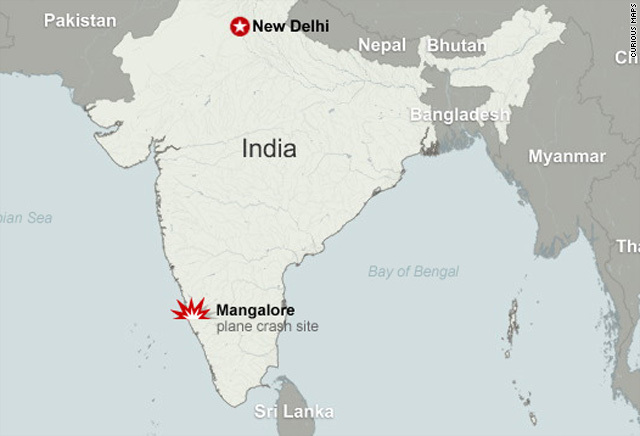 The NTSB team is expected to arrive in Mangalore on Tuesday morning and will include a senior air safety investigator, a flight operations specialist, an aircraft systems specialist, and technical advisers for Boeing and the Federal Aviation Administration, the NTSB said in a statement. The city of Mangalore, situated in the state of Karnataka along India's Western Ghats or hills, had just christened a new terminal. A week later, it was marred by the crash, India's worst aviation disaster in a decade. In 2000, an Alliance Air jet crashed while trying to land in the northeastern city of Patna, killing about 60 people. CNN's Harmeet Shah Singh, Raja Razek and Jennifer Deaton contributed to this report.